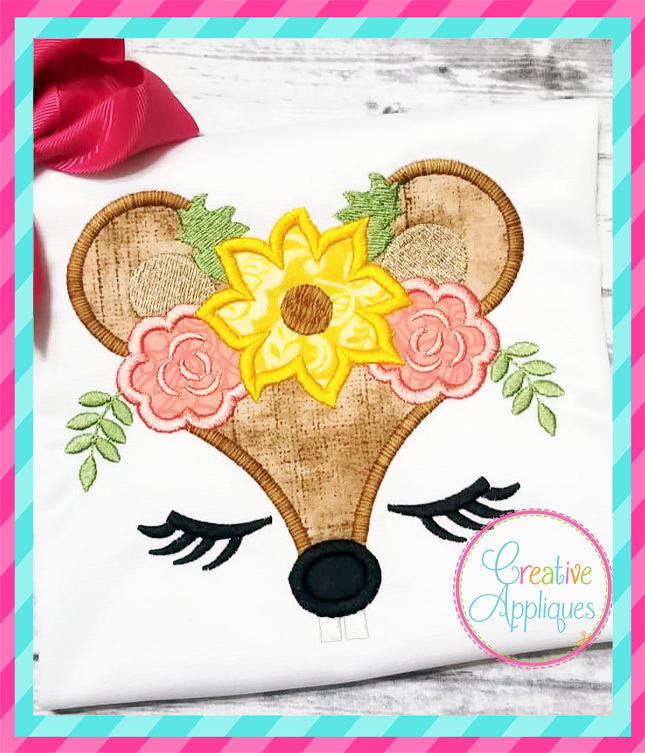 Squirrel Floral Crown Applique - 4 Sizes! Comes in 4 sizes, uses 5 fabric piece, and includes step by step stitch order chart. 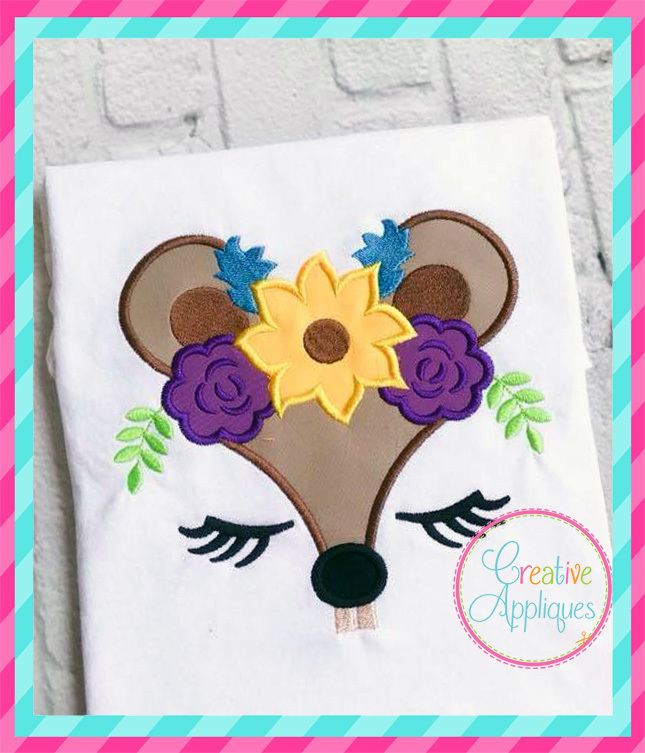 Bear Floral Crown Applique - 4 Sizes! Cat Floral Crown Applique - 4 Sizes! 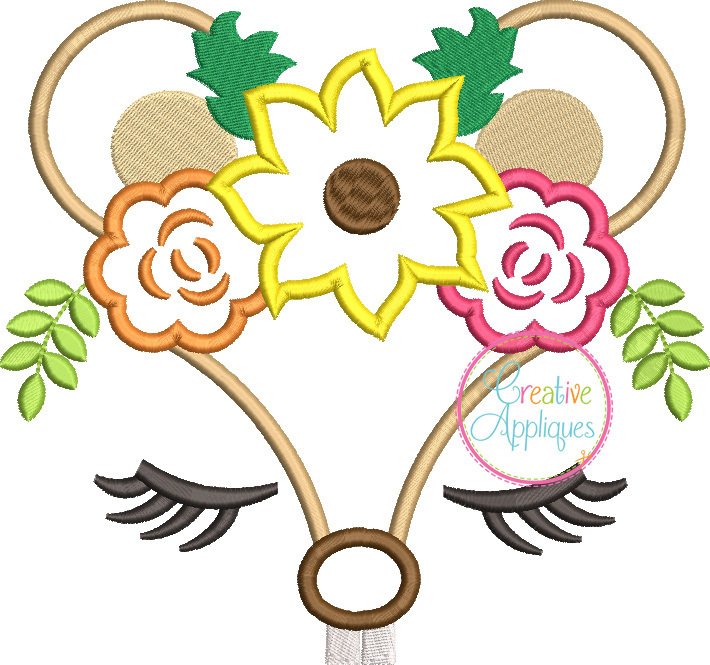 Chick Face Crown Applique, 4 Sizes! 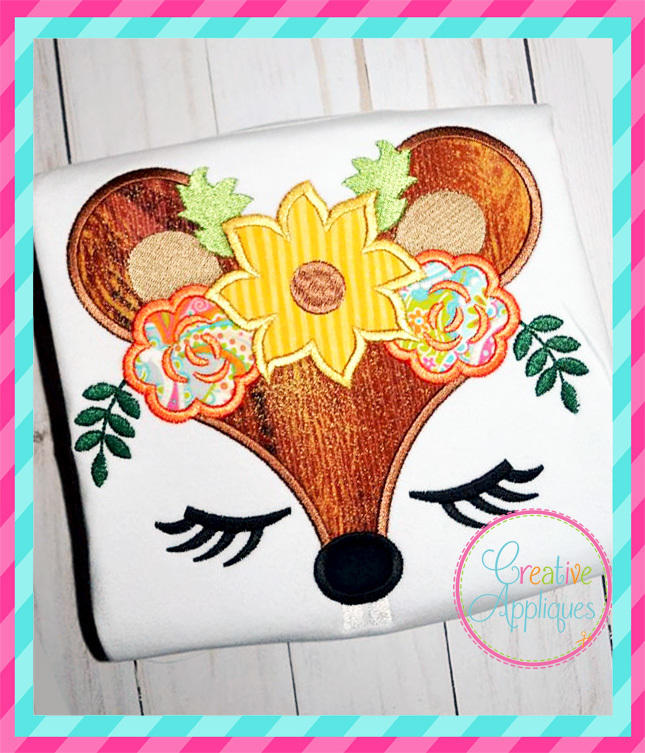 Fall Floral Crown Animal Applique Set - 4 Sizes! This design is also available in a larger set. Just click on the "Fall Floral Crown Animal Applique Set - 4 Sizes!" link in the "You might also like" section for more information.